Built in 1743 on the site of an old church house, this one-time fishermen's haunt still boasts original low beamed ceilings, inglenooks and ancient flagstone floors – although today's visitors are likely to be tourists, walkers trekking the nearby coastal path and sailors from nearby Shalfleet quay. 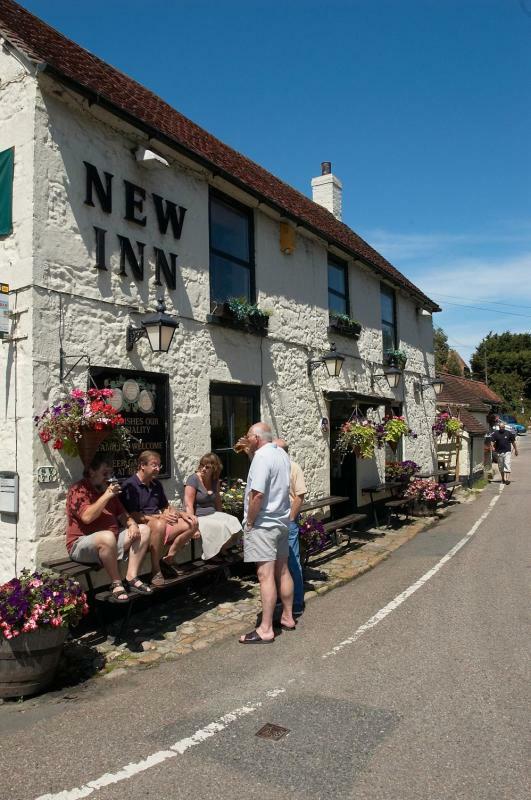 The New Inn's location – at the foot of the Newtown estuary – ensures that seafood is in plentiful supply, and the kitchen obliges with everything from best-selling crab baguettes to flashy items like spiced swordfish steak with pak choi and roasted rice. 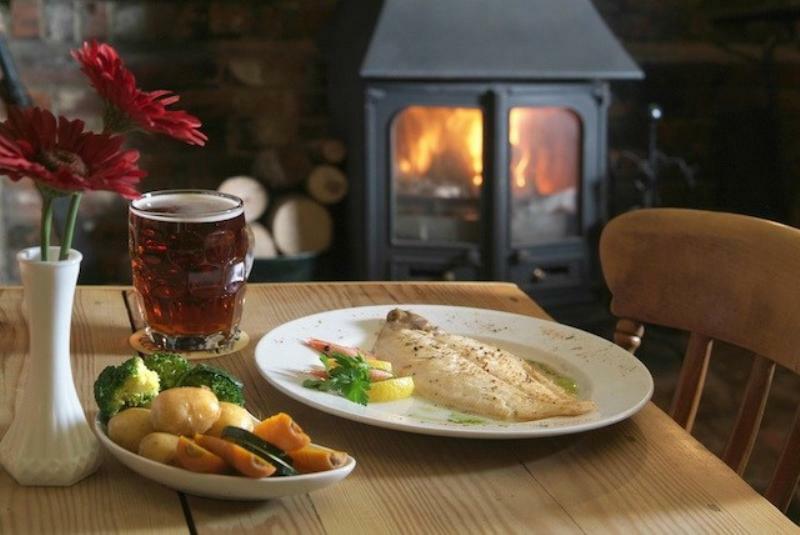 Daily specials are chalked on boards around the place, and you might spot black pudding with bacon and Stilton salad, grilled fillets of grey mullet with mustard and horseradish sauce or lamb steak with Moroccan-style bean salads alongside 'local produce' including lobster salad, roast Rowridge duck and mighty seafood platters. A separate 'regular menu' works its way through standard pub grub, ploughman's, salads and steaks, with back-up from puddings like tarte Tatin or sherry rifle. Four real ales are on draught and the wide-ranging 60-bin wine list includes around ten by the glass. 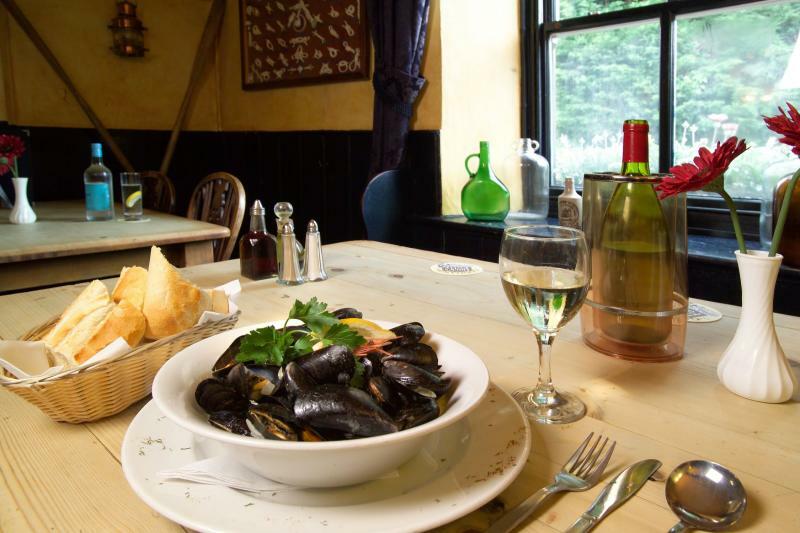 Several of our dishes can be made gluten free. Please ask for assistance.